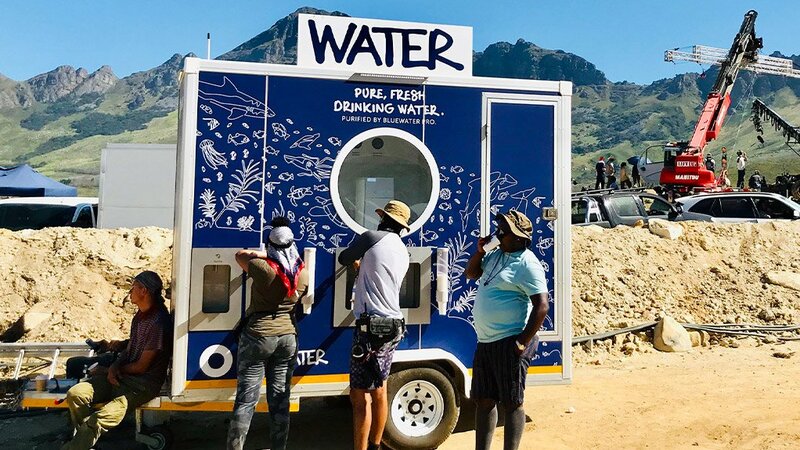 The Bluewater Trailer mobile solution has been successfully piloted in the Western Cape at the Raised by Wolves television series set. 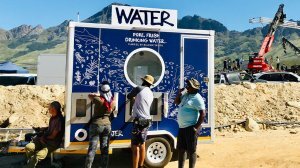 An innovative new mobile water station has been developed to provide safe drinking water for remote workforces in the mining sector – improving water quality and worker satisfaction, cutting costs and spurring improved environmental performance by slashing the need for costly single-use plastic bottles. Bluewater is a world leader in innovating, manufacturing and commercialising water purification technologies and solutions for residential, business and public use that harness the company’s patented, second-generation reverse osmosis technology. Bluewater water purifiers remove virtually all pollutants from water, including microplastic fibres, lead, bacteria, pesticides, medical residues, chlorine, and lime-scale.